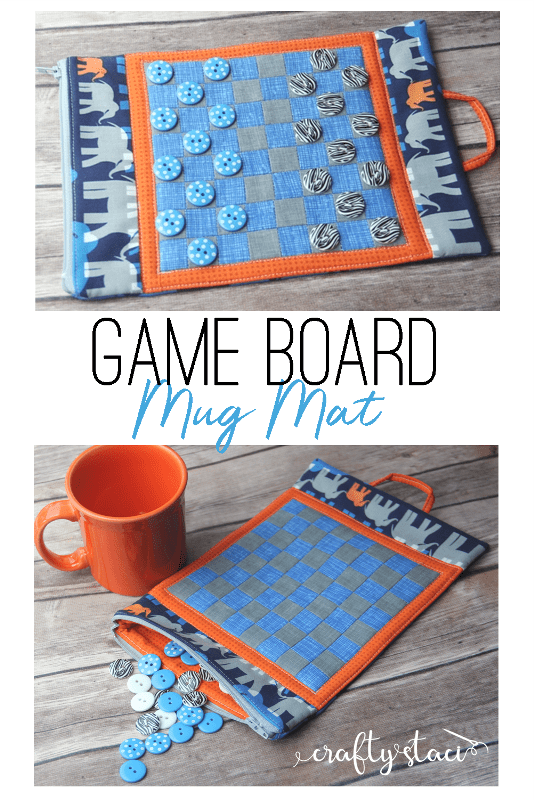 This mug rug can be a game board. Cool, isn't it? There's a loop so he can hang it up, and a zippered pocket built in so the checkers are always ready to go! Take a look at this Apple Core Mug Rug FREE Tutorial.